As I go through my eclipse photos today, I found a photo of the Bailey’s Beads. As you can see from the previous post, I didn’t have any photo on this… because as I had said earlier, most of the photos were blurred (don’t ask me why… I also don’t know – there may be 101 reasons…), including the Bailey’s Beads one. ~ by thChieh on August 11, 2009. The “double diamond ring” at 3rd contact was actually quite dramatic in my camera’s viewfinder; for a moment both brilliant beads were of about the same brightness. Apart from a little shaking (probably a bad tripod) your picture captured the elusive sight quite well. I also caught the pair from a site farther to the North of you in Wuzhen through thin clouds; it came out darker than planned, with only the beads and the chromosphere but no inner corona. Hey friend, you know what I did after viewing the eclipse photo by YitPing? 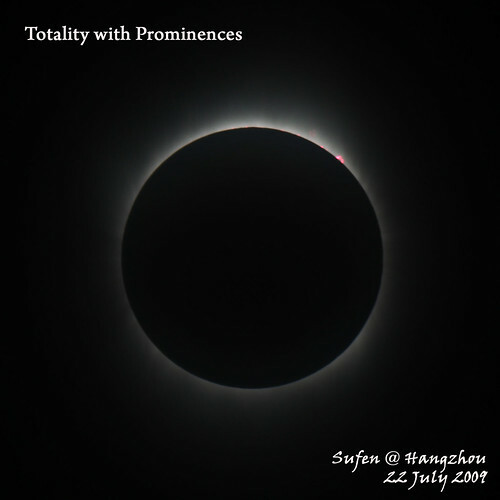 I really cannot tahan for the “hanging prominence”; so I went back to double check my eclipse photos again. I paid more attention at the totality that captured at similar exposure time and finally I picked this one and adjusted little of contrast… then I found something! Have a look at the photo.. Frankly speaking, Yitping’s photo is clearer and sharper! A Starblast 114mm newtonian…ehmmm… impressed…great job! Chieh, were you shooting with the camera mirror lock-up function? It helps to reduce vibration especially at high magnification, slightest movement from the mount or wind can blur the picture. Anyway, just my 2 cents. Hehe… Chieh’s shakey bailey’s beads might have different story?! It might due to our “kongsi” of a same mouting. Every time I look at my eclipse photos I found the same problem. They are not sharp enough. I recall so many times and doubt how this happened… and I guess it’s due to my fine focusing w/o putting my glasses on! What to do… over already! For my Diamond ring, I think it’s “too big” (although some would like it). My scope setting is FL500mm f/8.3 with exposure 1/5 – should have made it faster. I was blank to adjust over the speeds during the event… kept on slewing the wheel for different setting. 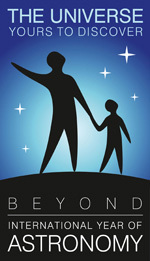 Indeed an intereting and unforgettable experience.